Chris Moore was born in Memphis, Tennessee in 1980 and died tragically young in Amsterdam where he was writing, summer, 2016. 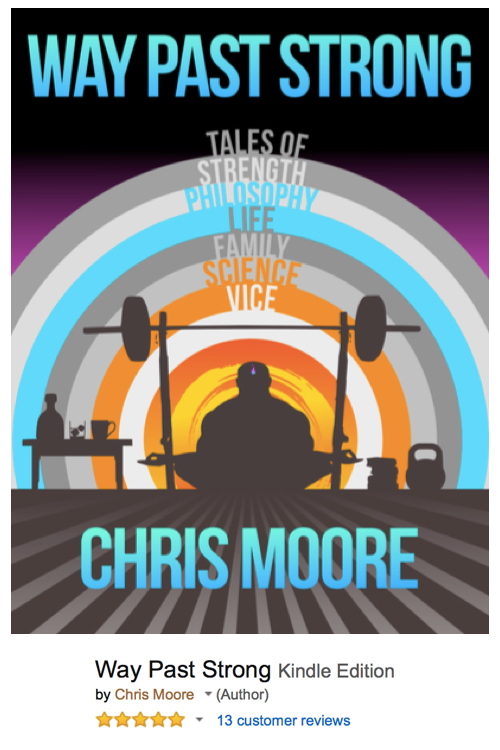 In his short life, Chris became internationally-known for his work as a writer, podcaster, and advocate of a new way of training and thinking about strength. He was a beloved member of Barbell Shrugged, host and writer of the Barbell Buddha podcast and blog, and had a successful professional career as a medical writer, having completed a Masters in Exercise and Sport Science at the University of Memphis. He leaves behind his wife, Jani Moore, and children, Max and Mae. This collected work, a handsomely-produced hardcover of over 500 pages, is a testament to a powerful and meaningful life lived passionately, with integrity and modesty. 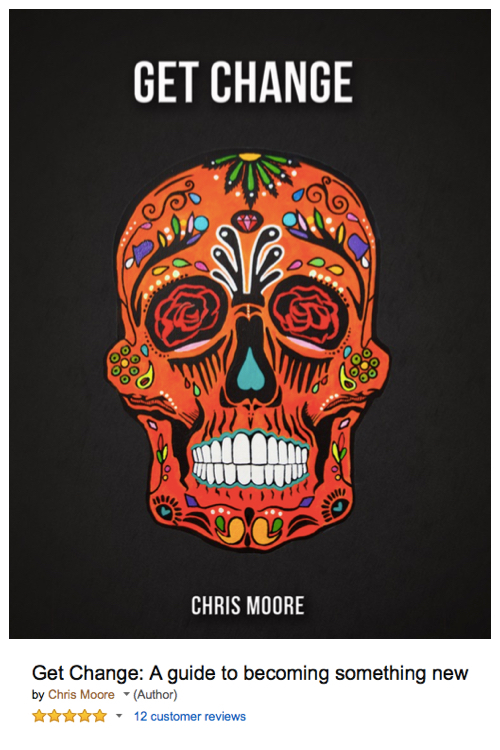 It includes all the published and unpublished writing on the subjects of spiritual, mental and physical health, expressed in the characteristic engaging and witty style that Chris became loved for by his countless readers. It is an inspiration to all who seek to improve their lives and the lives of others. We believe it will be a classic of its kind, and treasured for years to come. We’re so happy to see you enjoying your books and celebrating Chris’s life and words with us. All your kind words have meant so much to our family throughout this time. Share the love on Instagram with #barbellbuddha. “The story I’m about to share isn’t perfect. It isn’t even close to finished yet. But it is honest – Every thought, emotion, low moment and useful insight that I found during my hardest year is right here in these pages. It might not be everything that you expect, but I promise, in just a little while you will look down at those familiar chains and realize that there is no lock. “When it comes to getting strong, the training program and diet typically get all the attention. However, as with anything in this life, extraordinary results actually begin with the mind. Way Past Strong is a personal, honest exploration of training philosophy, the healthy pursuit of vice, and the importance of mindfulness in the gym. No matter your goal, you’re sure to find more than a few pearls and nuggets within these pages. 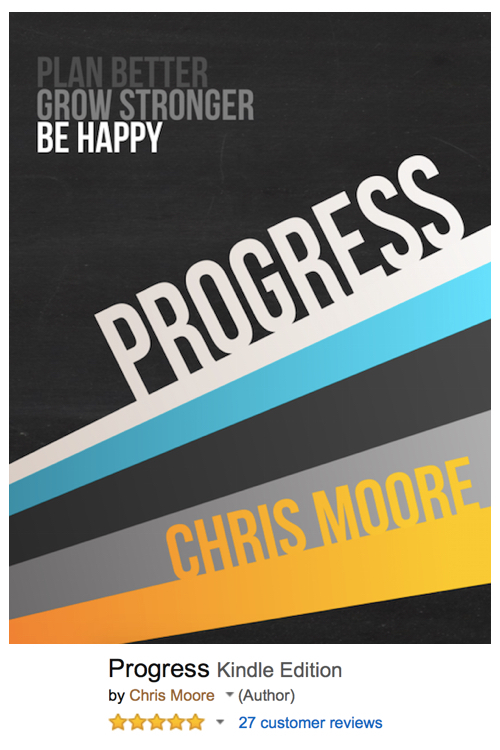 “Progress is a book about strength training. But this is not just another program or passing fad. This is about you, your journey, your perspective, and your goals.